Atlantic Beach real estate is hot. The reinvention of Selva Marina Country Club into Atlantic Beach Country Club and its surrounding neighborhood brought Atlantic Beach to the forefront of many buyers minds. As Atlantic Beach Country Club has been built out, the Atlantic Beach real estate market there has been going gangbusters. Some of the desirable real estate is anything east of Sherry and Seminole due to its proximity to the beach. Driving through you’ll see new homes scattered amongst tear downs and charming beach cottages. Lot lines are smaller in Atlantic Beach compared to say Ponte Vedra. The living is denser with a very neighborly and walkable feel. 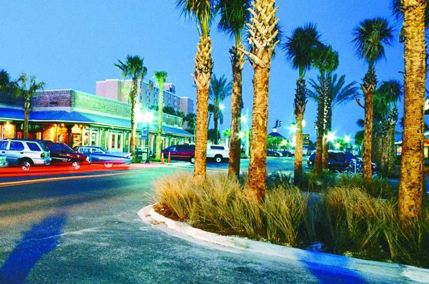 The Neptune Beach town center sits just between Atlantic Beach and Neptune Beach, and it’s a great walking destination for residents. For oceanfront homes you are looking at either Ocean Boulevard or Beach Avenue. The streets are narrow, quaint and quiet outside of the homeowners milling in the streets to go surfing or walking. The zip code for Atlantic Beach real estate is 32233. For investment property, the deals east of Seminole are harder to find. However, west of Seminole is still up and coming as you start to hit Mayport Highway.